Ajit Johnson, a scientist, writer and artist from Tamil Nadu is working on scientific communication and protecting human species. As a doctor I could only treat a disease while as a scientist I might be able to eradicate them,” begins Ajit Johson in an optimistic note when asked why he chose to become a scientist. Hailing from Nagercoil a beautiful small town in Kanyakumari, this young scientist is making a change in the field of science, communication and illustrative art. 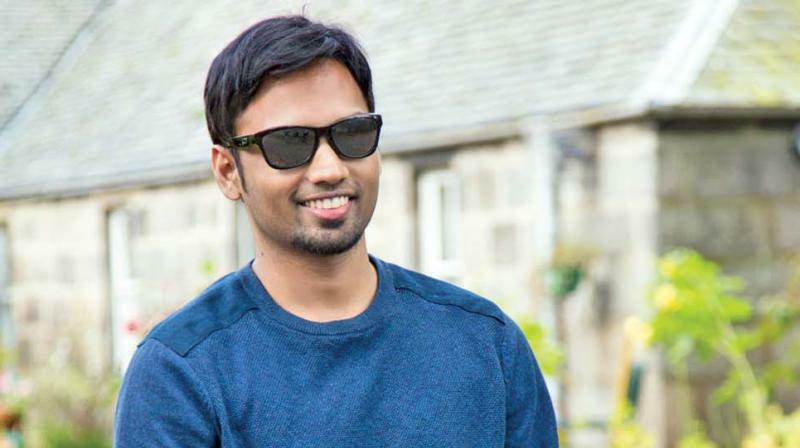 Currently residing in Edinburgh, Ajit is a researcher who works in molecular science and is completing his PhD at the University of Edinburgh. Growing up with a love for solving puzzles, it became an addiction for Ajit. “I used to sit for hours, fight, cry, think and do everything while solving a puzzle but I used to finish it. When I grew up I realised that the biggest puzzle was the Universe with many unanswered questions. That’s how I landed up being a scientist, solving some unanswered questions!” says the 29-year-old.